In a microwave bowl put 1 Bag of Chocolate Chips with one Tablespoon shortening. Microwave for 45 seconds to a minute until they turn shiny. Use a fork to stir the melted chocolate chips together until they become creamy. Peel the bananas and cut off the end. Carefully put a thin popsicle stick inside of the banana. 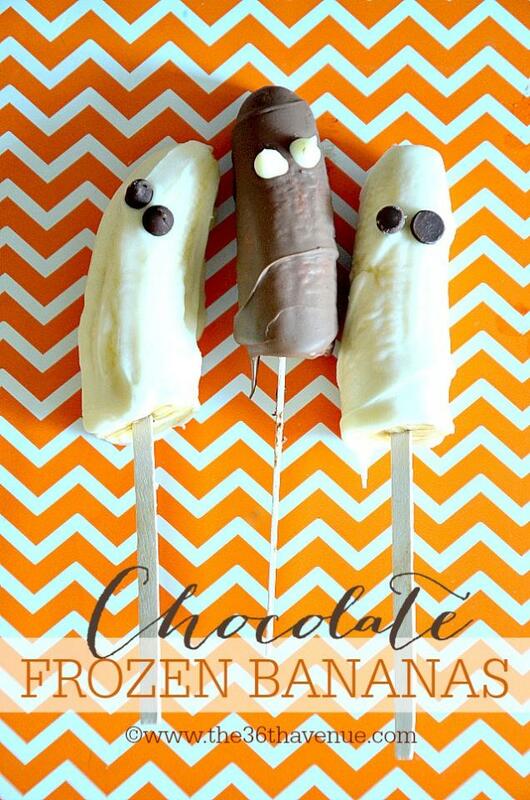 Dip the bananas in the melted chocolate or use a knife to spread the chocolate around it. 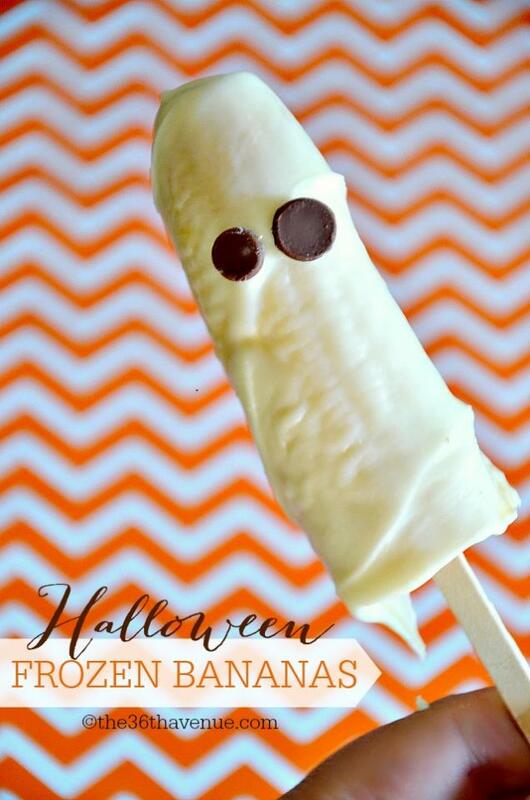 Put chocolate chips in place to make the eyes and place the bananas on wax paper. Place in the fridge right away and let them freeze for four hours or longer before eating them. You can make them with white or milk chocolate chips!